I've been sorting through my embroideries lately as I dig up photos for Instagram. For me, the embroideries bring back memories of when and where I stitched them. This is one of the things I always love about handwork, especially slow handwork. Memories and associations are worked into each stitch. Most are neither happy nor sad, just reminders of where I was at different points in my life. Here is one of my stitched memories. I remember very well this little project. I wanted to experiment with using a different color fabric than white, which I almost always prefer. 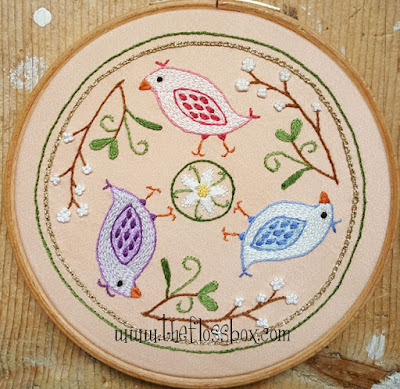 The birds are fun, I may very well revisit them in a crewel project. I'll be returning with more of embroideries., and the work on new one is continuing every day too, so more pictures very soon. 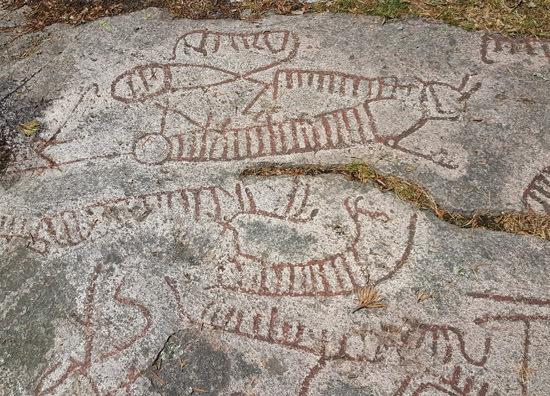 These are found in Southern Sweden, not all the far from the Baltic Sea, and as you might imagine they feature ships rather prominently. 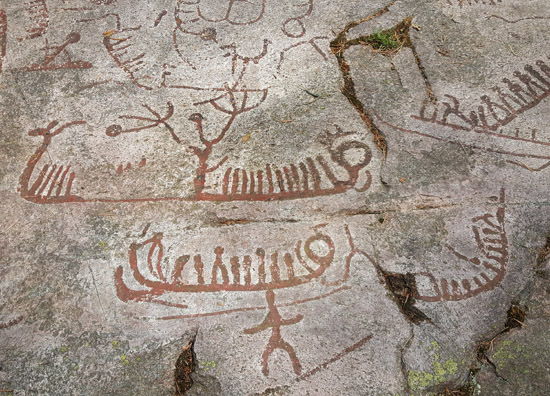 The little lines are thought to represent rowers and the larger figures might be gods.